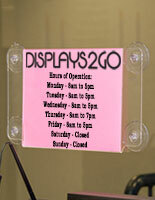 This Plastic Sign Supply for Sale is Great for Every Business to Advertise Hours! This Sign is in Stock and Ready To Ship! This window display is often utilized for publicizing an event, sale or store hours. 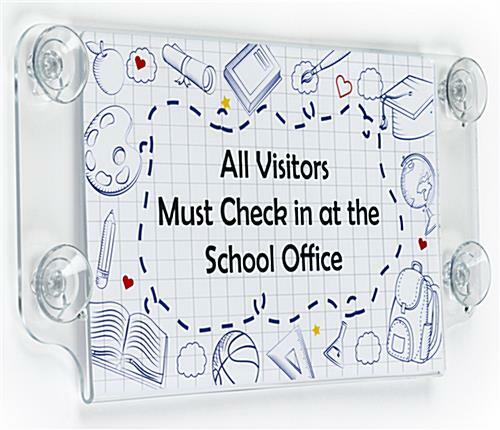 This suction cup sign supply will stick to any impermeable surface area such as glass and acrylic. The window displays are easy to carry and move, so you are able to modify its position whenever necessary. 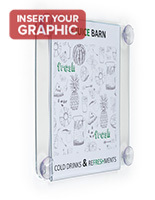 Four suction cups are affixed to an acrylic base that is engineered to accommodate the poster display. 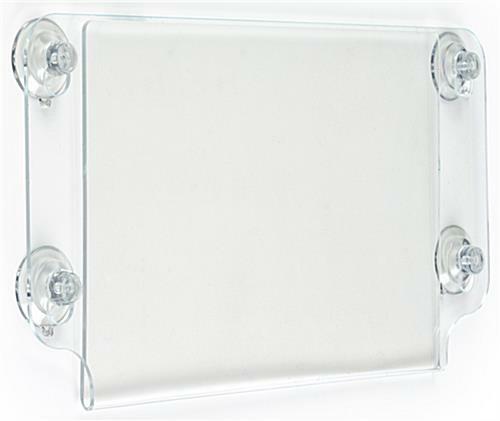 This glass mounted sign supply or suction cup sign, supplies fast and easy fabrication and also simple exchange of images. This extremely practical window device is an affordable, viable publicizing instrument and an excellent method for getting your communication across! Buy this affordable sign supply for your business today and start advertising at your door front! 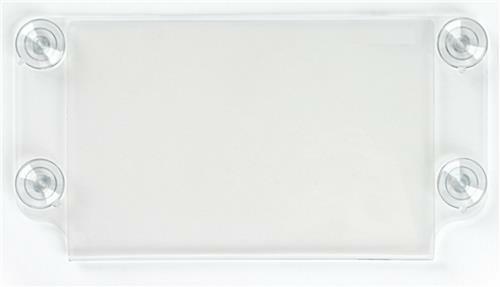 This sign supply is excellent for holding 8-1/2'w x 5-1/2"h printed media back to back on glass doors, or in windows. 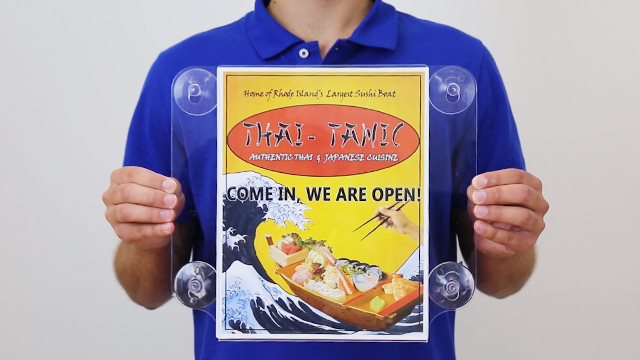 This suction cup window sign is held safely in position and is not difficult to change images as they insert from both the top and sides. Optimize the publicity of sales by exhibiting this affordable sign supply for sale! 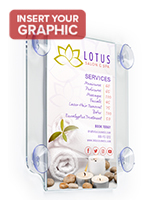 This suction cup display effectively draws customer awareness to your retail store, restaurant, or professional establishment!